The good old hamburger has always been a popular choice, so much so that there are now restaurants all over the world with menus that are dedicated to the noble burger patty. Over the last 18 months Glasgow has been going through its own burger renaissance with dedicated burger restaurants opening all aver the city. 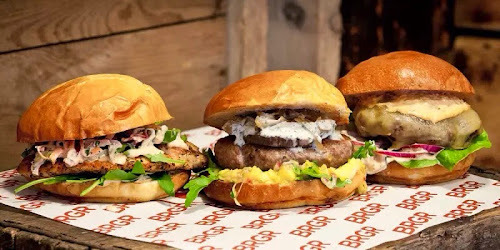 I love a good burger so when I was invited to a launch night of BRGR in Glasgow's West End, I jumped at the chance to head along and see how this new kid on the (butcher) block would compare with some of the others that I had already tried. BRGR is owner by Chris Lessani and occupies what used to be The Black Rabbit Cafe on Glasgow's Great Western Road. Furnished using reclaimed wood and old window shutters and lampshades from the 1940's, BRGR hopes to wow diners with braw burgers and tasty shakes whilst doing its best to use local suppliers where possible. In fact the meat is sourced from local butcher, Rodgers Butcher whilst Big Bear Bakery supply the soft brioch burger buns. Food has always been a big part of my family; thanks to my dad who is also in the industry (Café l’Etoile and Bar Sporto to name just a few). Any family celebration has always involved food and I knew from a young age that I wanted to be involved in the industry and follow in my dad’s footsteps. I have now worked in the industry for over a decade and funnily enough it began just up the road from BRGR serving fast food in the 727 takeaway! To always stay positive. Running your own business is demanding but is also extremely fun and hugely rewarding and it is important to remember the good times rather than how much stuff you have to do. Positivity is the key to success – remember; there are no problems, only solutions! It would be a dream of mine to expand BRGR further and grow the business throughout the UK. Glasgow seems to be experiencing a burger renaissance but for me burgers have always been an important staple on every menu. We would love the opportunity to take BRGR further afield, serving great burgers, using the freshest ingredients all sourced locally… oh, and introducing our handy ‘hawder’! If you could only cook one of your own products/recipes, what would it be & why? It would have to be our Hot Coo burger – a beef patty topped with salami, cheese, chipotle mayo, red onion, pickled cucumber, lettuce and freshly roasted jalapenos. I love food with a bit of a kick in it and we serve this as hot as the customer likes. For me, the more jalapenos the better! Aside from my dad, it would have to be the legend that is Elvis. As for the menu, that's easy! We would eat Coo Tippers until the cows came home, all washed down with plenty of beers. 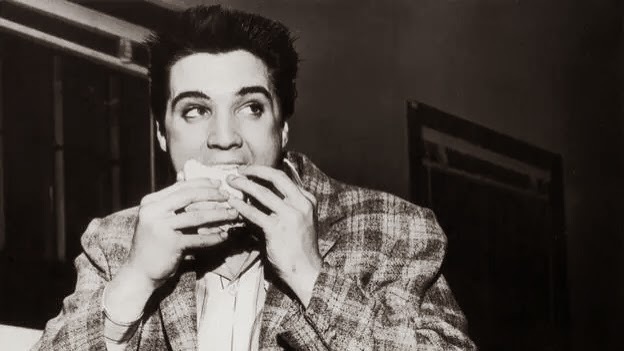 I have to say that I would be happy to join Chris and The King as they tucked into their burgers - it was the Coo Tipper that I had on the night we visited and it was delicious! The menu at BRGR is a simple affair with a few beef patty burgers, a lamb burger, a chicken breast burger and a vegetarian option. 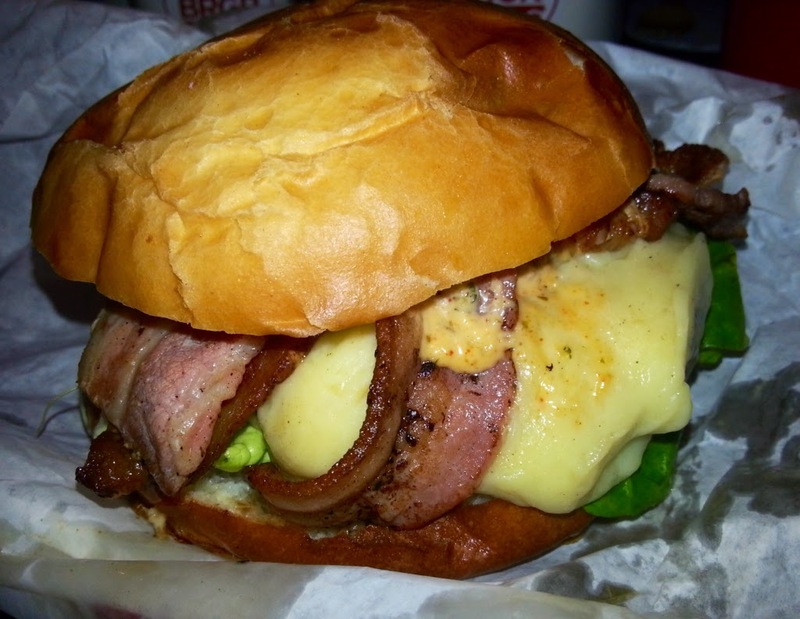 I chose the house burger - The Coo Tipper topped with bacon and cheese. 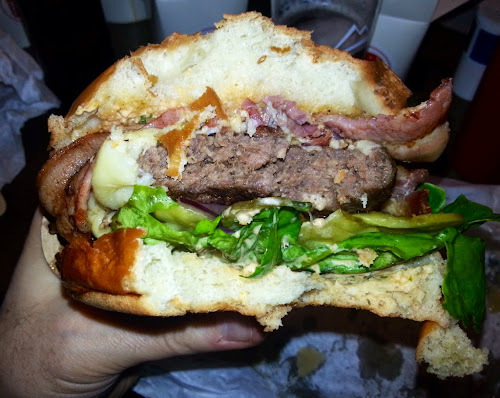 The burger was hefty size with a soft brioche bun filled with crisp baby gem lettuce, pickled gherkins, red onion and tomato, not forgetting the seasoned patty and three rashers of bacon and sliced cheddar cheese from local cheese-monger, George Mews Cheese. As I pondered how I was going to get my mouth round this meaty feast, we were presented with an ingenious solution to burger eating engineering. 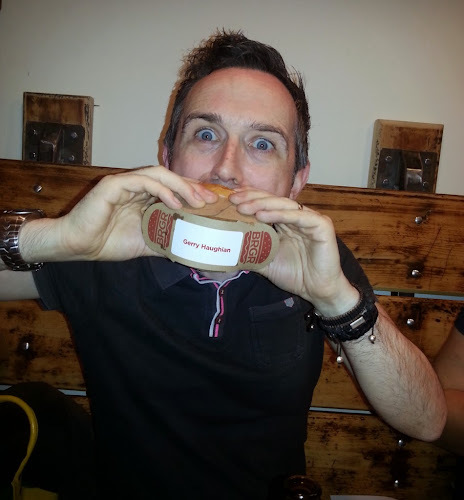 Chris and the team have developed the 'Hawder', a crafty devise for holding one's burger. It's great to see that science is giving a lending hand to the BRGR customers and making eating the might burgers a simple task. The burgers were very tasty but the stars of the show for me were the delicious sides that were served with our meal. 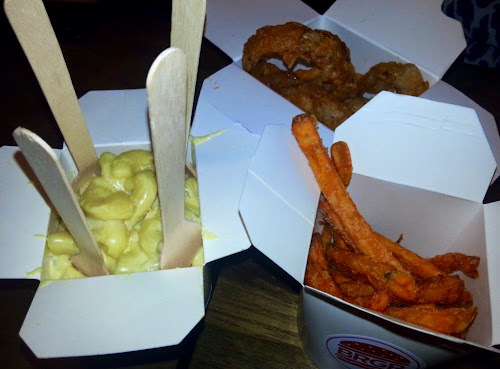 Rich creamy MacCheese, crispy sweet potato fries, huge onion rings and sticky chicken wings all helped add to the BRGR experience. I especially enjoyed the macaroni cheese which was deliciously cheesy with a good kick of mustard. In addition to the tasty food on offer, BRGR will be specialising in good old fashioned milkshakes made using just rich Crolla's ice cream and fresh milk. (Although there are a few adult shakes available which have a good measure of alcohol thrown in too) We did get the chance to see some milkshakes being made, as well as sample a few of the shakes, however I was more than happy to wash my burger down with some locally brewed St.Mungo from West Brewery. 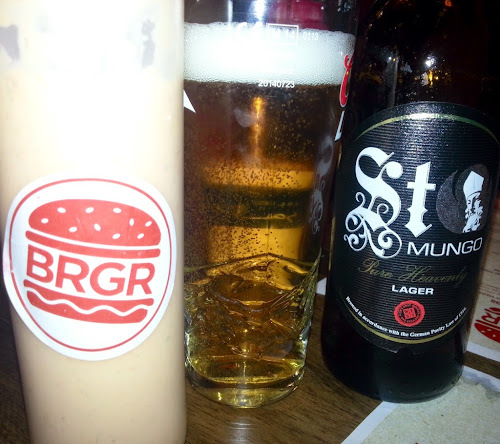 So if you're looking for great value home made burgers and tasty milk shakes, make sure to check out BRGR Glasgow, I know that I'll definitely be looking for another reason to get back to the West End. 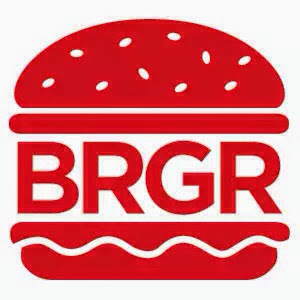 Keep up to date with the team at BRGR on Facebook and Twitter.